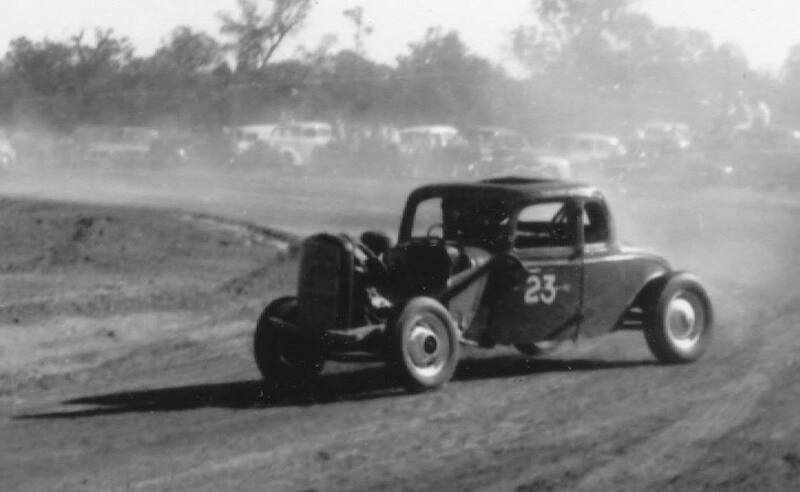 As history would have it Forrestfield Speedway started as the result of a street rodder, that being Billy Marshall in his 1932 Ford cutting up in a gravel pit one day on Hartfield Road I Forrestfield and as people driving by spotted the dust, they turned in to take a look, that street rodder turned to two and more, Names such as Johnny Leopold in a black 1934 Ford Coupe made appearances, racing events were held on Sunday's and on other occasions the brothers Ross and Malcom Nickerson would run solo motorcycles around to crudely built track, Champion motorcycle rider Charlie West who worked at Mortlock's as a mechanic in the city would often use the track to test solo bikes after repair work, As the weekends passed and the spectators built up the rodders thought it was a good idea to actually get a bit more organised. 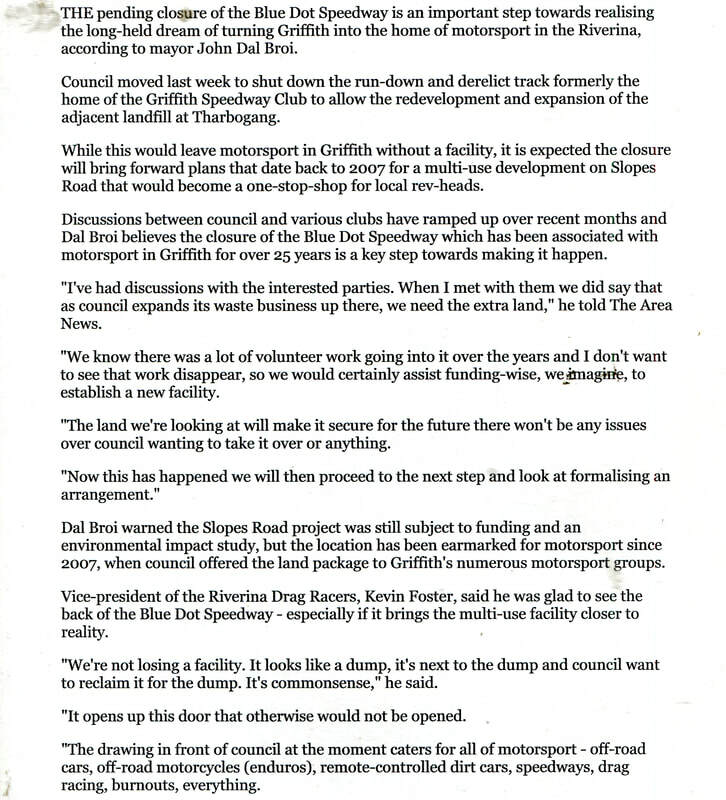 so the Forrestfield Hot Rod Club was born, The first president of the club was John Goode, This site was used for about four years, Poorly run and dogged by bad publicity the track was closed to make way for State Housing Commision homes, The Forrestfield club was offered and accepted a new track site off Dawson Avenue also in Forrestfield. 1950's - Just how Forrestfield started street licienced cars and street rods starting appearing at the crudely built track for a bit of fun and so did the spectators. This early Singer had a straight 8 Buick fitted to it. Photo: Mick Thomson collection. 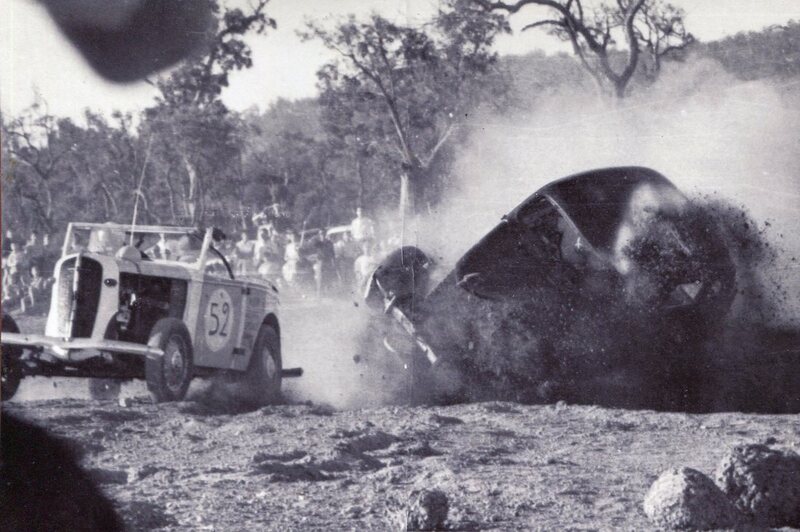 1950's - John Leopold in the 1934 Ford coupe, The rumble of a sidevalve V8 echo's through to trees at the Hartfield Road track. Photo: Mick Thomson collection. 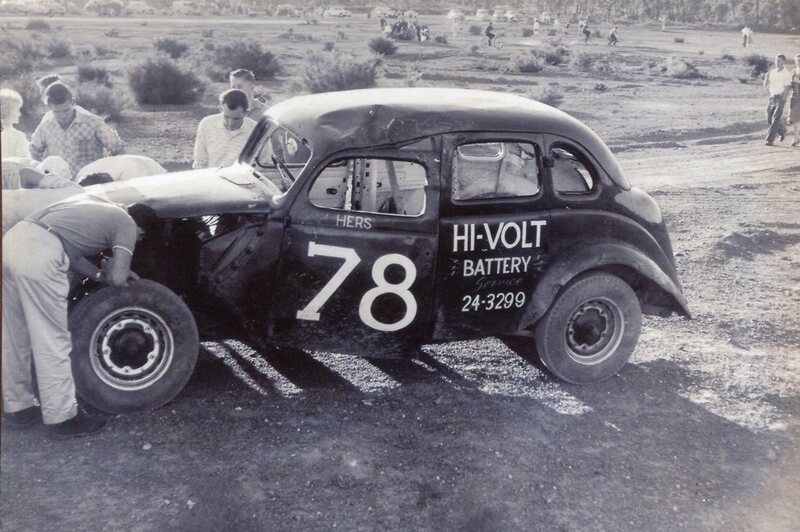 1950's Billie Marshal one of the pioneers of the Forrestfield Hot Rod track on Hartman Rd. Photo: Supermodmania. 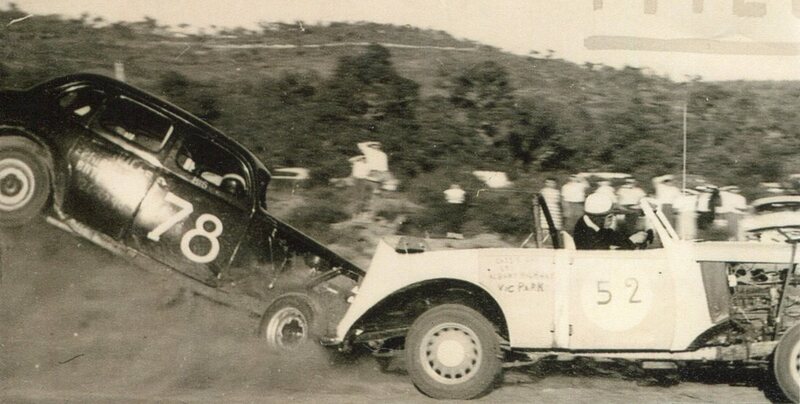 1960 - Fantastic Hot Rod action from the Hartman Rd track with Ray Hill in the 78 car in a bit of trouble, this photo found its way onto the front page of the West Australian newspaper. Photo: Ray Hill collection. Ray Hill drove the car home after this accident. 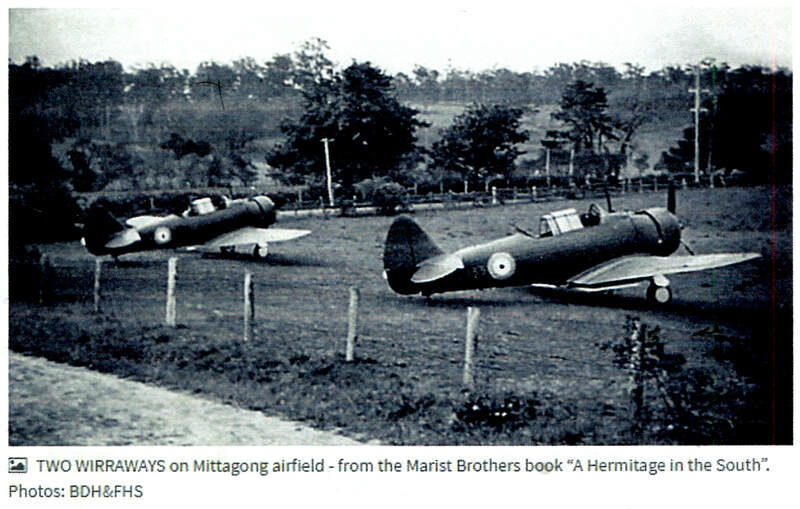 Photo's Mick Thompson collection. 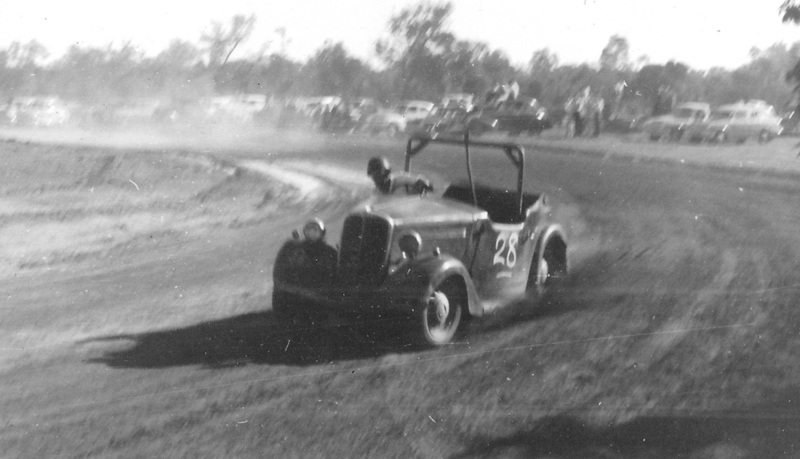 The Dawson Road track was also constructed by the Forrestfield Hot Rod Club who entered into a partnership with the Slow Learning Childrens Group. At this point the West Australian Hot Rod Association (WAHRA) was formed. 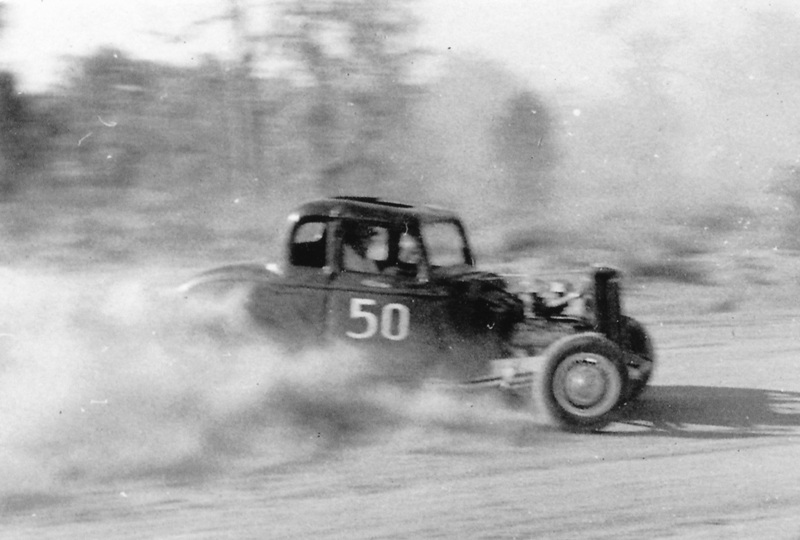 Racing under this association was held in a clockwise direction only, causing a split between drivers who regularly competed at Claremont Speedway who raced anti clockwise, and those who did not. 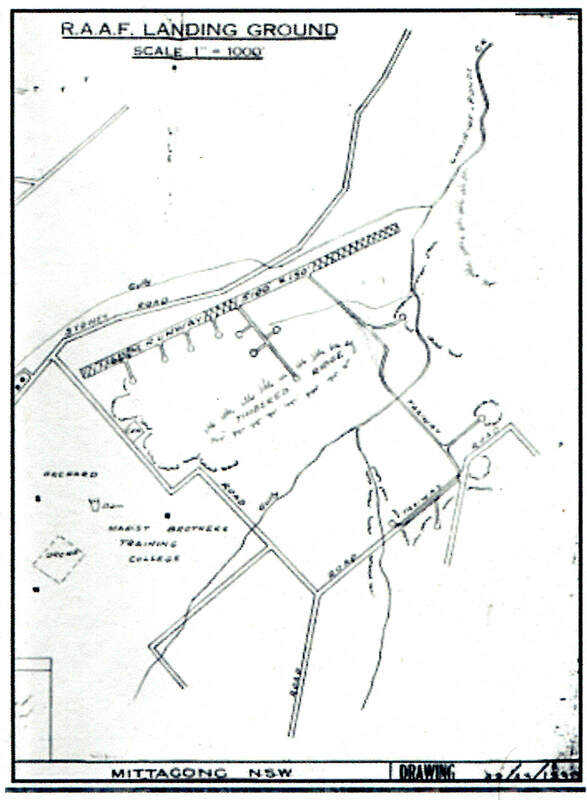 A split saw the racing drivers Association (RDA), and Wattle Grove Speedway racing in an anti clockwise direction the same as Claremont. A massive rivalry was to last many years with the two associations often scheduling clashing race dates. 1960's Ray Gray in the 7 car goes over the top of his cousin Don Burton in the 49 car. Mick Thompson recalls: as a young fella I was involved in the building of the second Forrestfield Speedway, long before I had a drivers licience one of the jobs I was envolved in was help Jeff Brown with the watering of the track as it was being built, It started off as riding in the truck down to the swamp, manning the pump to fill the tank on the truck and return to the track, In no time they had me driving that truck while my offsider would sit in the passenger seat swigging on a king brown. By the age of fifteen the boys had me driving the water truck by myself down Hardy Road to the swamp at the back of the airport, crank up that old diesel water pump, fill the tank and make my way back to the track to empty the load. John's 1934 Ford Coupe hot rod was originally licienced for the road, black in colour still fitted with windows John raced the car at the Hartfield Road track, As time went by John removed the glass and had John Day from John Day Smash Repairs straighten up the body and apply a coat of his house colour, Sponsorship for John's racing came from Herb Watson Motorcycles in Victoria Park. John was very competitive in the car at the state level, Finishing 2nd to Roy Garvey in the West Australian Supermodified Championship in the 1962 - 1963 season. 1963 Johnny Leopold sporting the new paint job applied by John Day Smash Repairs. Photo: Mick Thompson. Mick Thompson recalls: Back in the days when John raced the coupe at Claremont Speedway it was common practice to flat tow your racecar to the meeting on an A frame behind a mates car, John's problem came one night after a nights racing at Claremont the mate he relied on to tow him from the Showgrounds through Perth and back to his home also enjoyed a beer. John who had become quite impatient was heard to say if I cant get him away from the keg I will have to drive the racecar home, and thats what happened someone dared John and not one to back down he drove the coupe home, no lights, open exhaust you name it. 26th April 1969. Photo's: Peter Roebuck. 1971 - Paul DeLacy has a big moment in his FC Holden production car at Forrestfield Speedway. Photo: Peter Roebuck. Gary Smith. Photo: Gary Smith collection. Nic Grasso at presentation. Photo: Ron Chell. Shane Cassidy recalls: Both my farther and my uncle Gary Callaghan raced at Forrestfield in the early days, My dad raced under the name of Mike Scott so his mum didn't find out. Warren Levy & Gary Peat in the wall. Photo: Ron Chell. Nick Grasso. Photo: Ron Chell collection. Meeting number five for the 1975 season would see a group of regular Claremont compete on the big Forrestfield track on solo's and sidecars, this proved to be a huge success with the club stating, this has been the most thrilling thing seen at Forrestfield Raceway for a while. The alcohol burning wheel standing bikes poured it on to set down the fastest time ever seen at Forrestfield' the average speed recorded by Glyn Taylor was 81mph. At the age of twenty eight Peter Roebuck was on the his way to being one of the great speedway photographers, His photo's were appearing in national mags, and highly sought after by his fellow drivers. Peter was a regular in the very competitive mechanics races that were held at Forrestfield each meeting, Peter raced the Des Alfirevich FC Holden.